Full reports in the newsletter. Tim Gwyther gave us an insight in life, mainly in Paris, in the Bohemian art world during “La Belle Époque”, (1871-1914) and the transition from traditional painting to the modern style of the late 1800’s and early 1900’s. Alex Roch showed us her use of water based oils in painting a seascape. Here she creates a view towards the Isle if Wight. 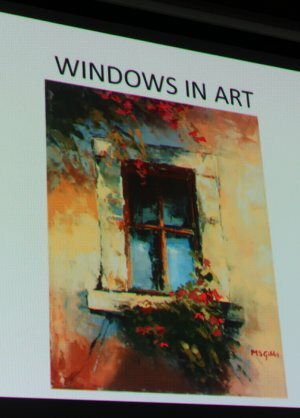 Daphne Jefferis opened our year with her talk “Windows in Art”. This was a very interesting presentation, richly illustrated about windows “looking in or looking out” in many works of art throughout the centuries. Our Christmas Party on the 6th December was a jolly evening with lots of members enjoying good company and a glass of wine! Clare Bowen won the vote for “favourite Christmas card”. It was a lovely evening to round off a very successful HAS year. Workshops by our President Roger Dellar are always very popular. The most recent one, painting a “ Snowy Scene”, produced lots of interesting paintings by the 15 participants. 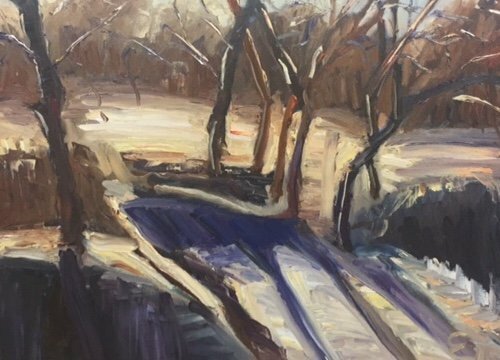 This is a snowy woodland scene by Elaine Hetem. Bill Pullen gave an interesting talk on the “Development in Abstract Painting”. 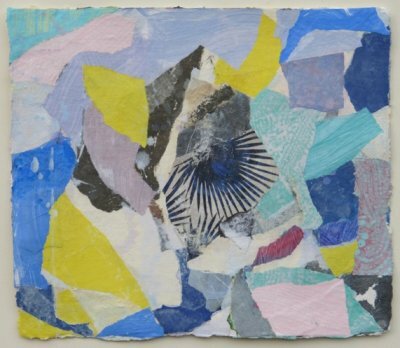 This is Bill’s own work “Tree Urchins”, a mixed media collage on Khadi paper. Max Hale talked us through the process of painting a portrait in oil. Many thanks to Drummond Russell, our very patient sitter. 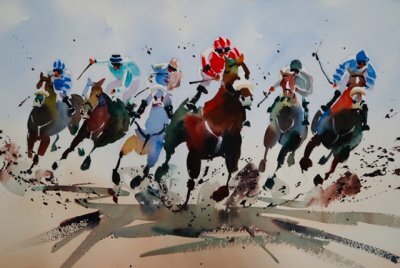 Jake Winkle created with seemingly simple brush strokes a bold painting, full of energy, in his demonstration “Light and movement in Watercolours”. An inspiration for us all. 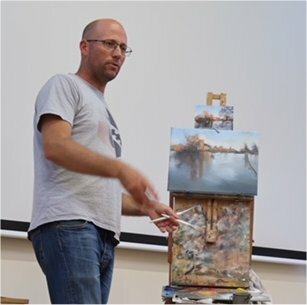 Workshop with Stephen Foster: “Landscape to Abstract”. 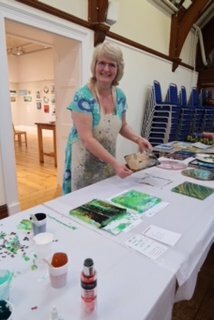 After a demonstration by Stephen the 13 participants produced their own abstract work with acrylics or water based oils. 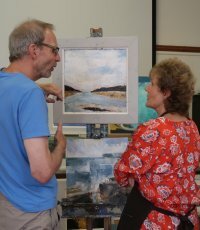 Here Stephen discusses with Sue Lambot her painting and is very complimentary! “Turner” by Steve Carroll, a very interesting and entertaining talk. 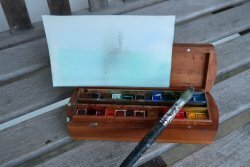 Steve gave a short demonstration, with the help of his paintbox and a bucket of water, showing how Turner might have treated some of his paintings by dipping his paper in water! 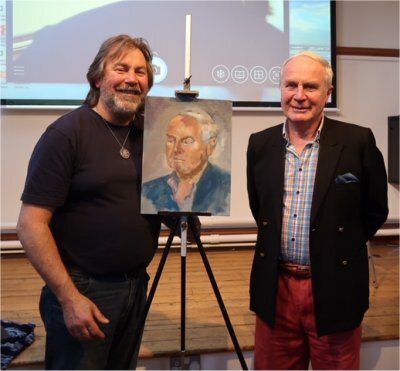 At the AGM of the Society on the 7th June The Society’s President Roger Dellar ROI PS RI chose David Pattenden with his interesting painting on the subject of “Working the Land” as the winner of the President’s Prize. 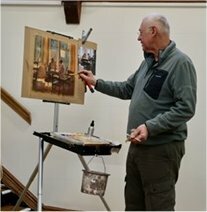 On the 24th May Tony Parsons gave a very lively and informative demonstration of his use of oils. Apart from being a full time artist Tony drives the Brighton Lifeboat. 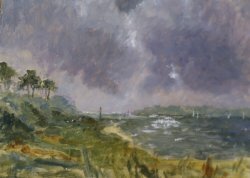 No wonder that water and boats feature in many of his interesting works. We all enjoyed the demonstration thoroughly. The Spring Soirée in April was the perfect occasion for members to get together and see what goes on in the Society. 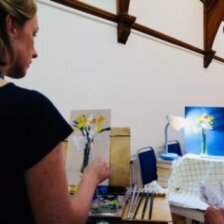 Clare Bowen who mainly works Plein Air painted a vase with daffodils, Mike Topham showed his intricate craft of making his humorous wirework and Rachel Vitolo gave a demonstration of working with fluid acrylics and resins. 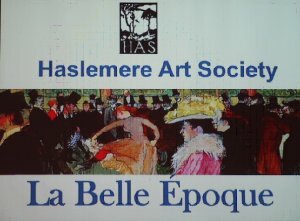 This Spring Evening is now a successful annual event where three members show their particular interest and skills in art. 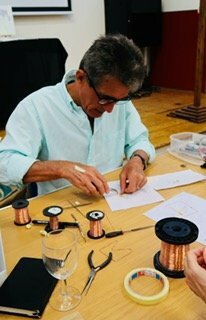 It seemed a little alarming when Ric Holmes started his demonstration “Beyond the Pure Pastels” with a roller and Chinese ink. 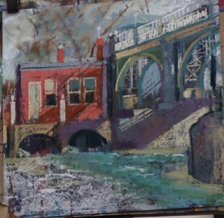 The result of the Chiswick bridge in Pastel turned out to be very interesting and colourful. 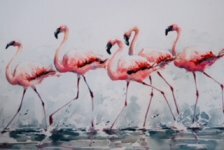 Julia Cassels’ demonstration of “Loose and Lively Flamingoes” in watercolour and ink showed how she creates beautiful atmospheric paintings with a minimal light touch of her brush. We are delighted that Julia has agreed to hold a workshop for the HAS next year. Date to be confirmed. 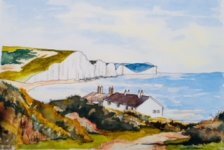 Sue Bradley’s workshop “Marine in Line and Wash” produced a selection of interesting results of the well known Seven Sisters coast line in East Sussex. Painting by Sheila Carr. 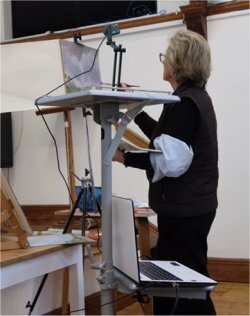 Daphne Jefferies gave an interesting lecture “Trees in Art” illustrated with many photographs of works by artists throughout the centuries. 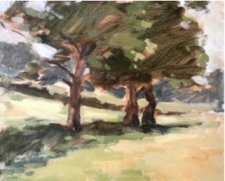 Here is a recent oil painting of trees in “Morning Meadow” by Clare Bowen. Roger Dellar paints usually in oils, but he did not at all seem to be out of his comfort zone when he gave us a demonstration titled “Watercolours, an Adventurous approach”.